Suhaili holds a Bachelor Degree in Dance (Hons) from The Victorian College of the Arts (VCA), Melbourne, and an Associate with the Modern faculty of the Imperial Society of Teachers of Dancing (ISTD, UK). Awarded the Boh Cameronian Arts Awards for Best Featured Performer and Most Promising Artist in 2009. she has since won many more Boh Cameronian awards for performance and choreographic works. 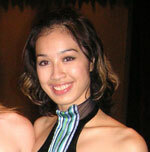 Suhaili represented Malaysia in the World Championships Performing Arts 2010, Los Angelis, and won 2 Grand World Titles. In 2013 with TerrylandTheCuz, she produced directed and danced in her production Flatland. The following year Suhaili spent 2 months in Adelaide rehearsing and performing her role as Pontianak in Lina Limosani's reproduction of A Delicate Situation. Suhaili has been with Aurora since the age of 3. She is ambassador for Under Amour and advocate for saving the sharks under Shark Savers Malaysia . Suhaili is now principal and events director. Advisor to Aurora Dance and Performing Arts Centre. Suraya holds a licentiate Diploma of Classical Ballet with the Imperial Society of Teachers of Dancing (ISTD, UK) and Associate from the Royal Academy of Dance (RAD, UK). She has been a dance professional since 1980, and an international theatrical dance adjudicator. Suraya is instrumental in preparing students for international competitions and professional certifications. She studied with Lee Lee Lan. 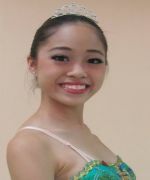 Kia Yee who holds a Bachelor's degree in pharmacy from the University of New South Wales, Australia started her classical ballet training at age of 5. With her interest in dancing, she exposed herself to various types of dances including Modern Ballet, Contemporary, Traditional Chinese, and Ballroom Dance. In year 2016, she completed her Advanced 2 of the Royal Academy of Dance. Having missed the opportunity to dance competitively during her student days , she is now living her dreams and has won prizes and grants in the last 2 years at international events. She is now actively performing, teaching, and creating work for our young dancers. 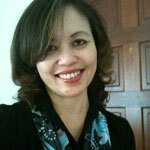 Kia Yee, ADPAC's vice principal is a certified dance teacher with the ISTD and manages Aurora's events and projects. Phoebe began her dance training at Aurora from the age of five. She has successfully completed vocational exams with the RAD and the ISTD Imperial Ballet and Modern Dance faculties. She has competed and received awards and prizes as a solo dancer as well as a troupe member in dance contests held nationally and internationally. In 2015 Phoebe won several dance scholarships at the World Dance Movement workshop in Barcelona, Spain. A teacher in training Phoebe coaches young competitors and choreographs pieces for school and commercial projects. 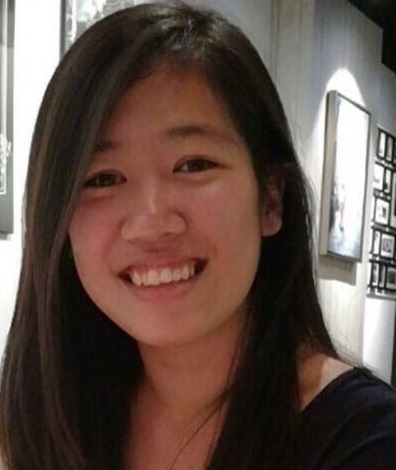 A straight As student, she leaves us for 18 months to pursue her bachelors degree in psychology in Minnesota, USA. Jill joined Aurora 6 years ago and is now a trained classical and Modern dancer. A dance teaching in training, Jill who recently graduated with a diploma in Arts Entertainment was instrumental in the production and management of several dance and theatrical projects. As a dance practitioner and up and coming choreographer, Jill produced and directed 'Against the Odds" staged in May 2016 at the Five Arts Theatre in Kuala Lumpur. The love for the art of dance has taken Jill to Hong Kong and Spain as a competitor and a participant in workshops and seminars. Sze Wan joined her first ballet class when she was 5 years old and developed great passion for dancing ever since. 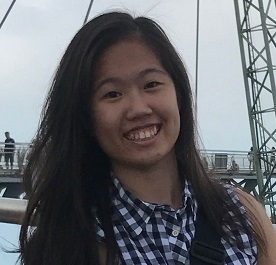 Sze Wan who holds a degree in commerce, gained her Grade 8 Award of the Royal Academy of Dance and is currently training in both modern and classical dances as she pursues the advanced level. Throughout the years she has also been actively involved in dance performances, including choreography roles. Amanda, a mass communication diploma graduate joined Aurora in 2016 to further her training as a performer and classical and modern dance teacher. Dancing since the age of three, classically trained Amanda is part of a hip hop crew and performs with the Aurora Dance Company. A hip hop dance enthusiast and semi professional dancer, Amanda is now a certified ISTD dance teacher. Aaron is a scholar from the Australian International Conservatorium of Music (AICM, Sydney) and holds a Bachelors of Arts in Music (AICM, Sydney). In 2005-2008, Aaron was an understudy at the prestigious Tchaikovsky Conservatory of Music, Moscow. 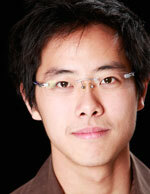 He is a gifted classical violinist and pianist, and is renowned in the KL art scene. 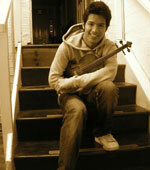 Aaron teaches violin, piano and vocals. Another gifted vocalist and scholar from the Australian International Conservatorium of Music (AICM, Sydney). Joshua holds a Bachelors of Arts in Music (AICM, Sydney). He is frequent performer in local musicals and dramas events. Joshua teaches vocals. Frances is an internationally renowned dancer, choreographer and teacher in classical ballet, contemporary and ballroom dance. A graduate of the Martha Graham School of Contemporary Dance, New York City, and an international dance adjudicator. Frances is an Associate with The Royal Academy of Dance (RAD, UK) and a Fellow of the National Association of Teachers Dancing (FNATD, UK) in Ballroom and Latin (Highly Commended Designation). She is an inductee in the Guinness World Records for most wins (186 championships) in SEA and Asia Pacific Senior Ballroom dance competitions. 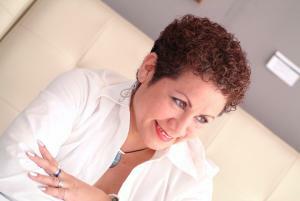 In 2012 , Frances gained her license as an international adjudicator. Frances is also a ballroom dance examiner. Suzan has had a long and varied involvement in the performing arts scene and has danced, acted and sung with various groups and theatre companies at most major venues locally and regionally. A graduate of The College of The Royal Academy of Dancing, London, she taught dance and was co founder and member of Scotch and Soda, performing at the original "All That Jazz" as well as television. Suzan, having worked in the advertising and film industry as a producer for two decades, is keen on helping senior citizens to maintain flexibility, strength and mobility through her 3F++ programme(i.e Fit, Fabulous Fifties and beyond programme). Fondly known as Sya, Syafizal Syazlee Salehud-din who graduated in Performing Arts majoring in Dance from University of Malaya in 2010, is currently pursuing his MA in Dance and Dance Research. A native of Johor, Sya involved himself in the Johor Heritage Foundation as a cultural artist from 2005 to 2007. He has landed roles in musicals “Muzika Balada Sang Adi Putra”, “P. 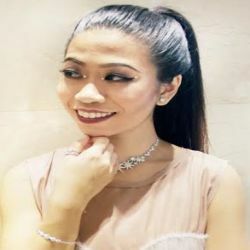 Ramlee the Musical II” and “Muzika Uda dan Dara” as well as TV drama series, and advertisements.Sya, a certified Zumba® Fitness instructor is also trained in classical ballet, contemporary, jazz, modern and Malay traditional dances. His interest in dance has put him on stages in the region, Europe and the Middle East as well as winning accolades for performance and choreography at national competitions.